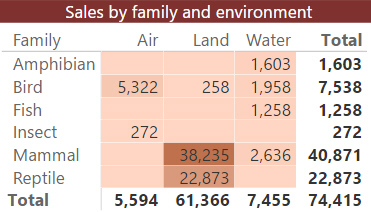 The new table visualisation (the new matrix one is just next door to it). 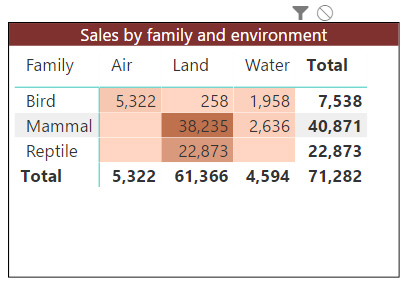 This blog highlights the main new features for the new table and matrix visuals, but let's start with what you'll see if you open up an old Power BI report in the updated software. 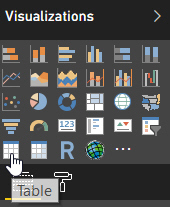 It's easy enough to update your visuals, although you will see changes. 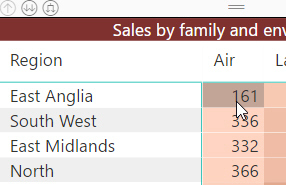 The matrix I created in the old version of Power BI Update. The same matrix, but using the new visual. 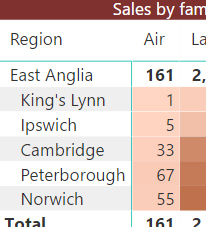 The reason for these changes is that the new table and matrix visuals use a style called Default when you first create them (although you can reset this to None if for example you don't like alternate rows appearing in different colours). I've chosen the first three rows only. 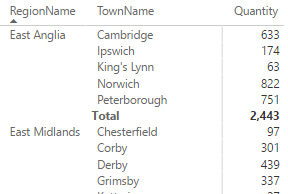 The matrix is filtered to show only the data I've selected in my table. 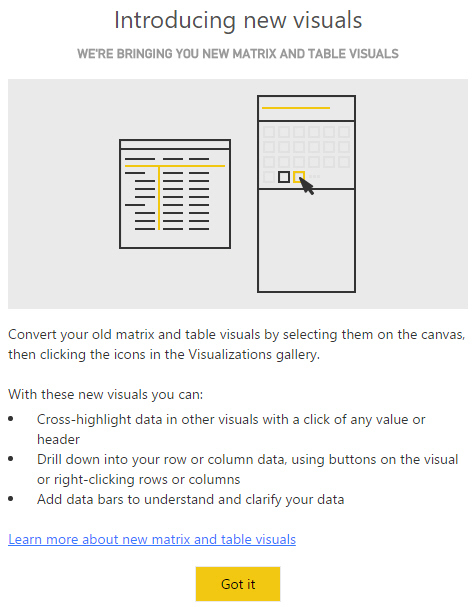 This will be enough, I suspect, to prompt any current Power BI users to scurry to upgrade immediately! Suppose that you turn on drill-down as normal, by clicking on this symbol. 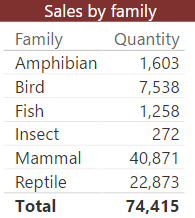 You can alternatively right-click on a figure to show how it's made up. 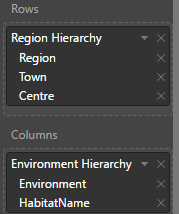 Here I've got a hierarchy displayed for my matrix rows. 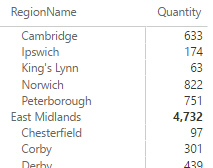 Click on a total ... ... to drill down to the region. 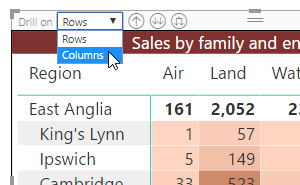 Here I've defined a hierarchy for both the rows and columns in a matrix. You can choose how drill-down should work. 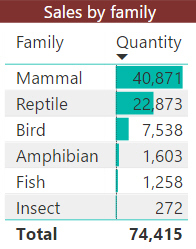 Data bars show you visually how big numbers are relative to each other (they look better in tables than they do in matrices). 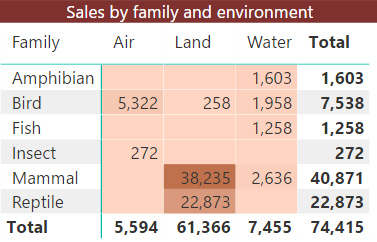 Select a numerical field in the field well, and apply conditional formatting to it to bring up the data bars dialog box. 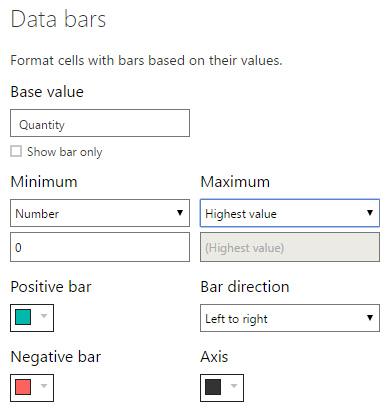 I've set my data bars to start at zero, rather than at the lowest value of the data being represented. 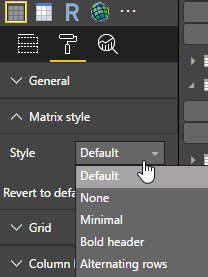 Whether you have a table or matrix selected, the style shows up as Matrix style, and by default is set - appropriately enough - to Default. 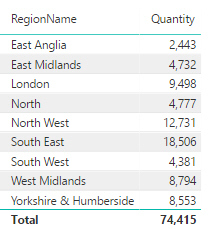 Alternate rows are coloured and the total appears in bold. 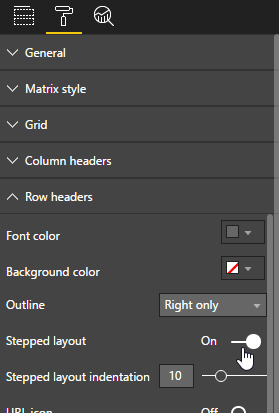 You can always reset the table's or matrix's style to None if you want to remove (nearly) all formatting. 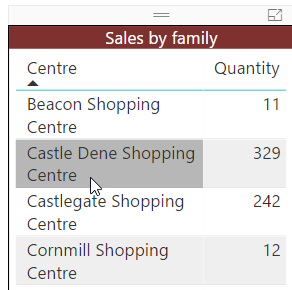 If you enable word wrap for values in a table and make the column narrower, this is the sort of thing you'll see. 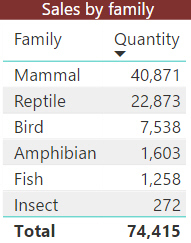 The property for values (the column headers one looks remarkably similar ...). 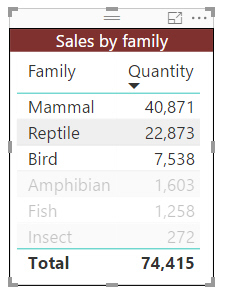 If you included more than one row header, each appeared in a separate column. 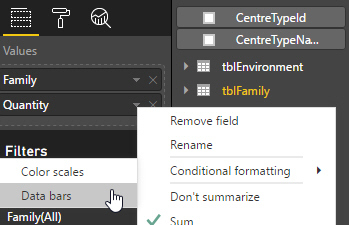 You can specify the size of the indentation used too, by setting the Stepped layout indentation property. 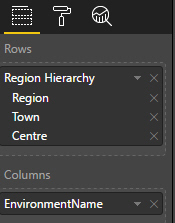 This is the biggest single change in the 8 months since I started documenting Power BI Updates. Upgrade - and enjoy!